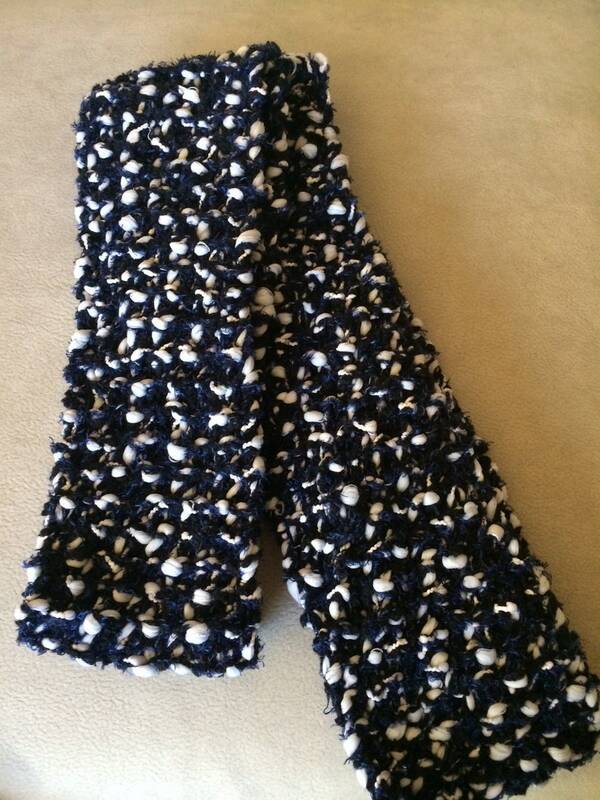 Hand knit women's scarf in black and blue. Acrylic and Merino wool. No fringe. The 2nd pic shows the yarns used. One yarn is black merino wool with a small thread running through it that is indigo blue. I combined that yarn with an acrylic yarn that has puffs in it. Knit together the puffs came to the surface and create a fascinating look for the scarf.